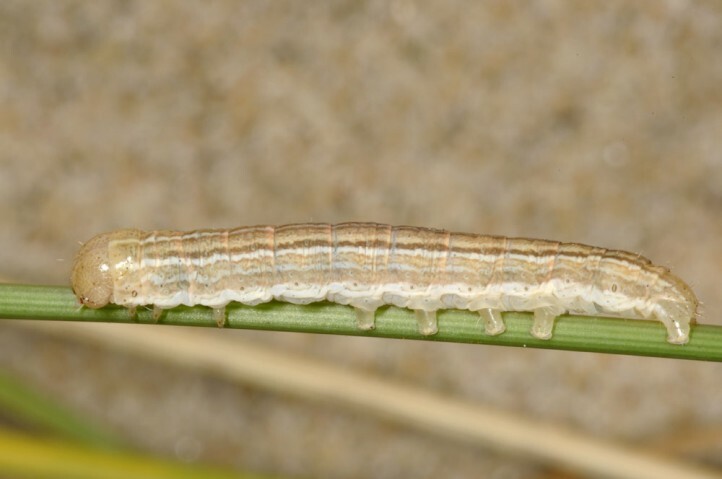 The larva primarily feeds on Ammophila arenaria. 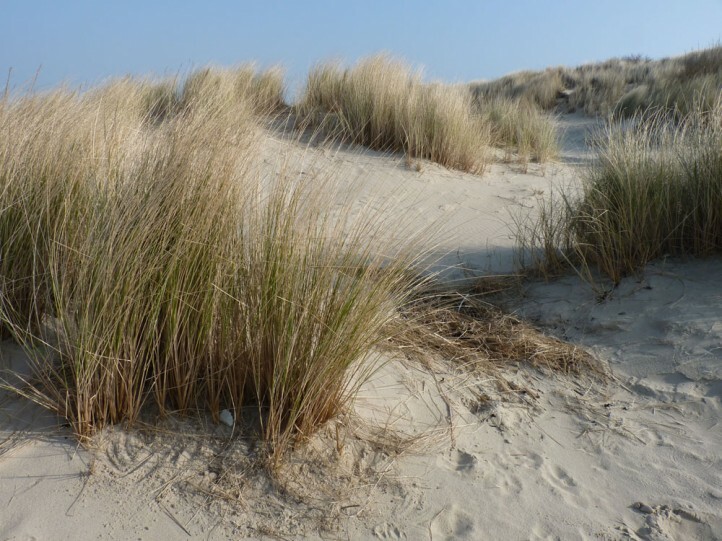 Occasionally, some other hard grasses are taken (e.g. 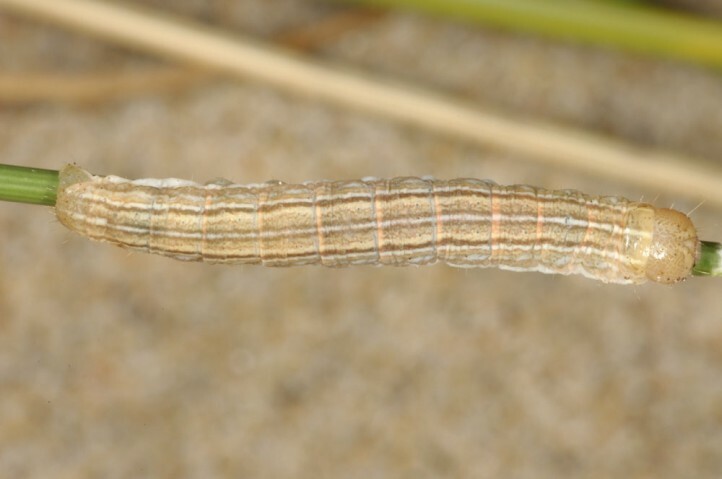 Elymus sp.). 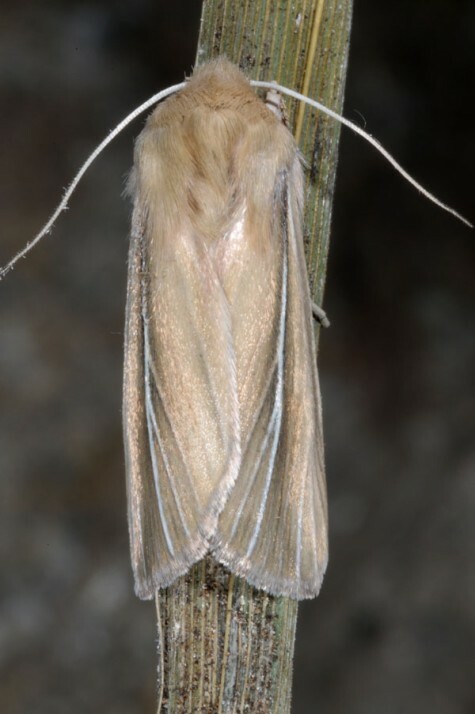 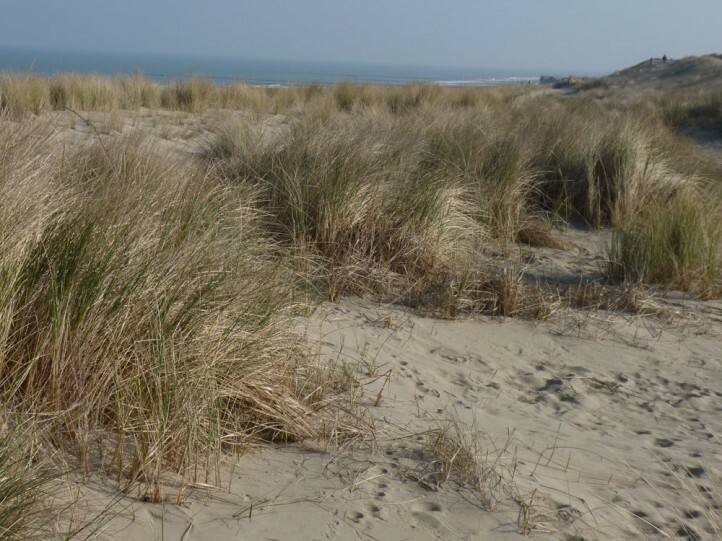 Mythimna litoralis is only found in sunny coastal dunes with Ammophila. 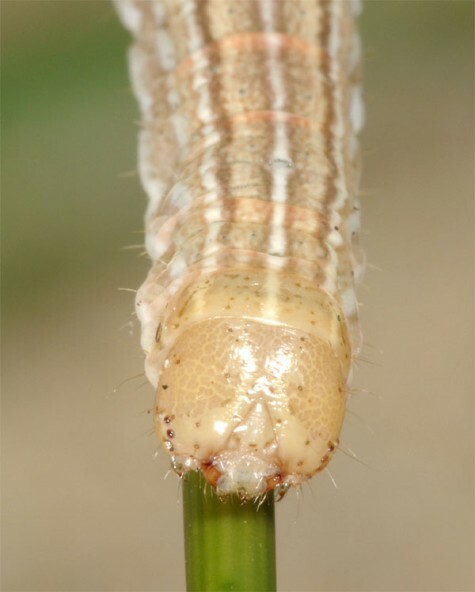 The young larva most likely lives at flowers and seeds of Ammophila as it is the case with many congeners. 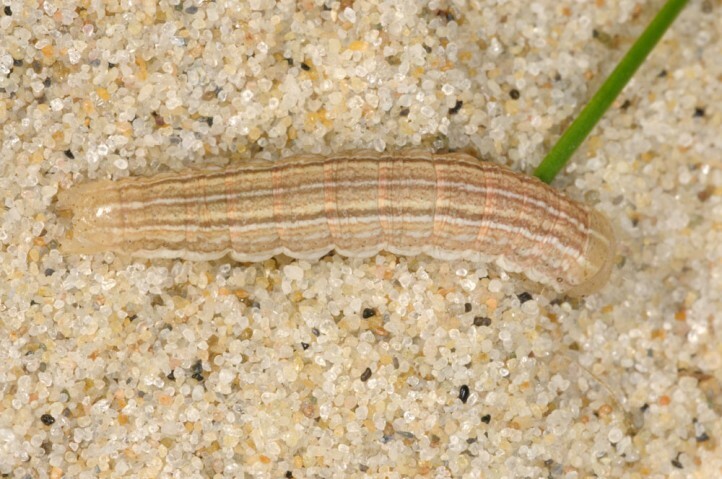 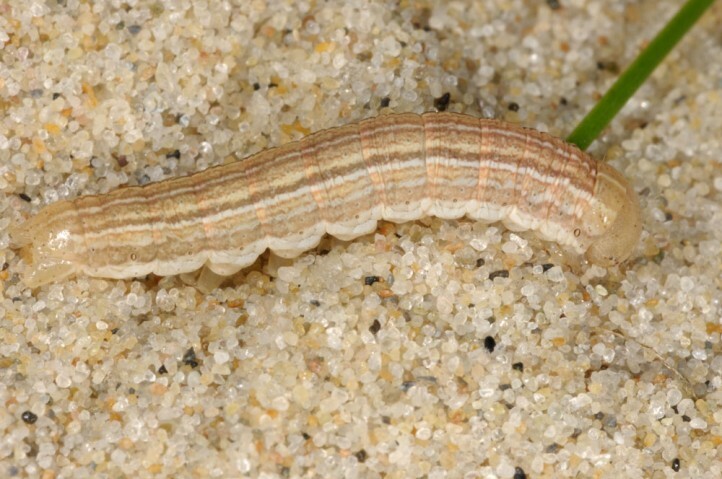 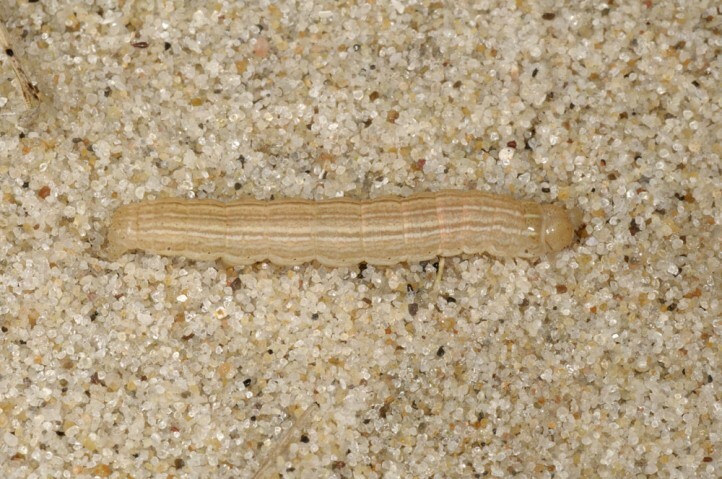 The half-grown larva overwinters probably buried in the sand. 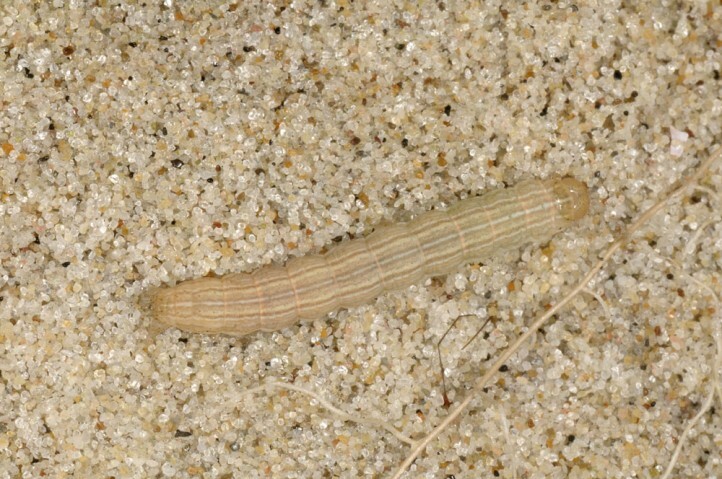 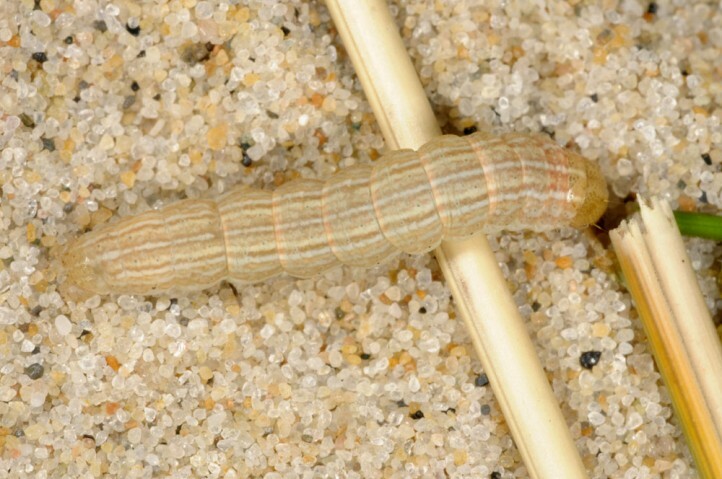 At least after hibernation the larva keeps itself superficially (only some millimeters) buried in the sand and rests only rarely in the inner and lower parts of Ammophila, especially when moulting. 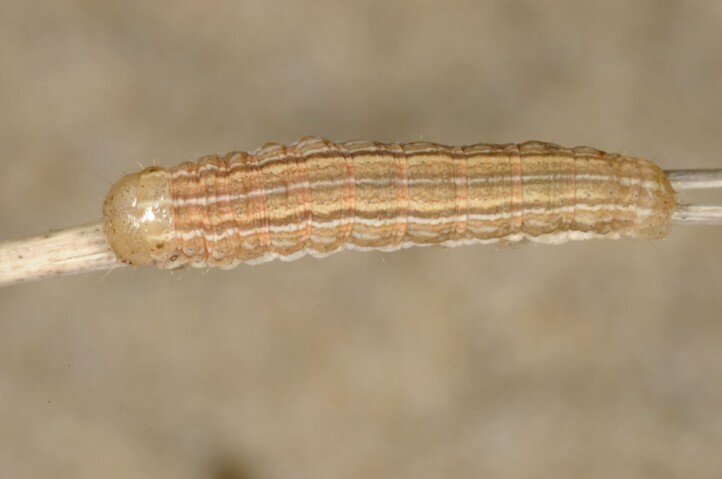 Locally, the larva may be very common. 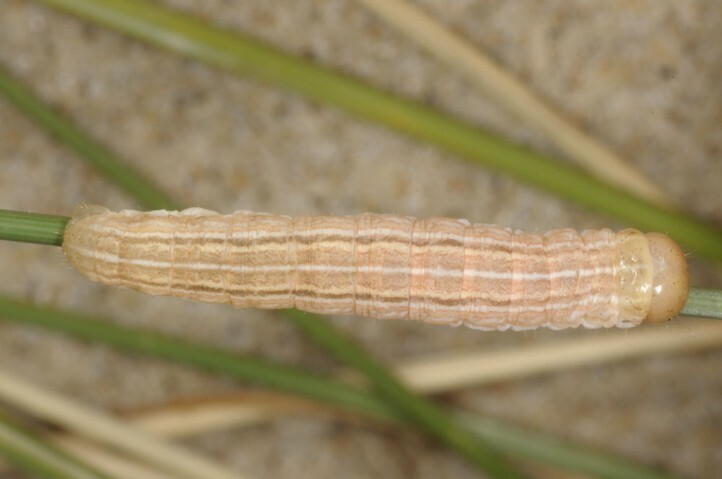 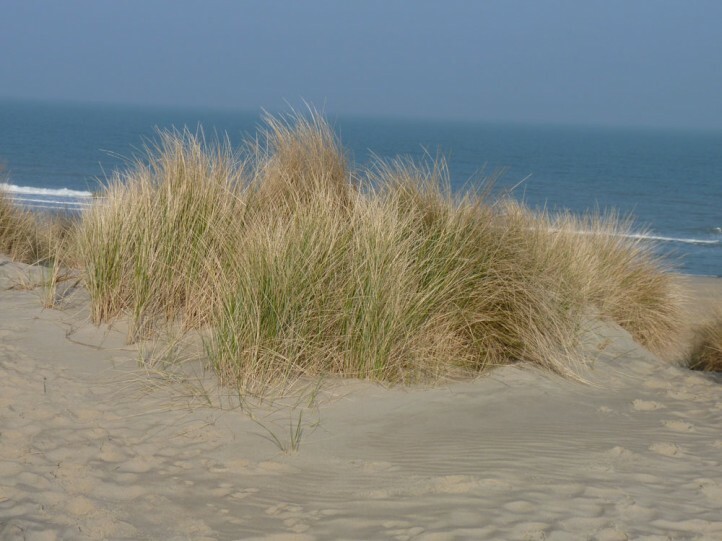 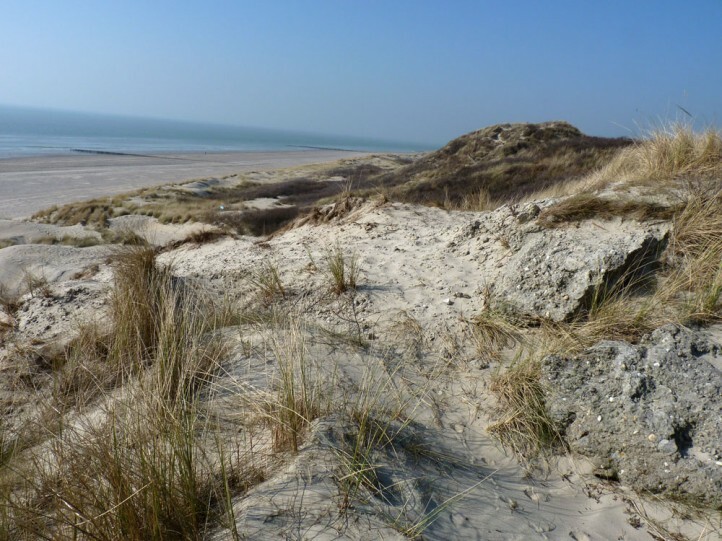 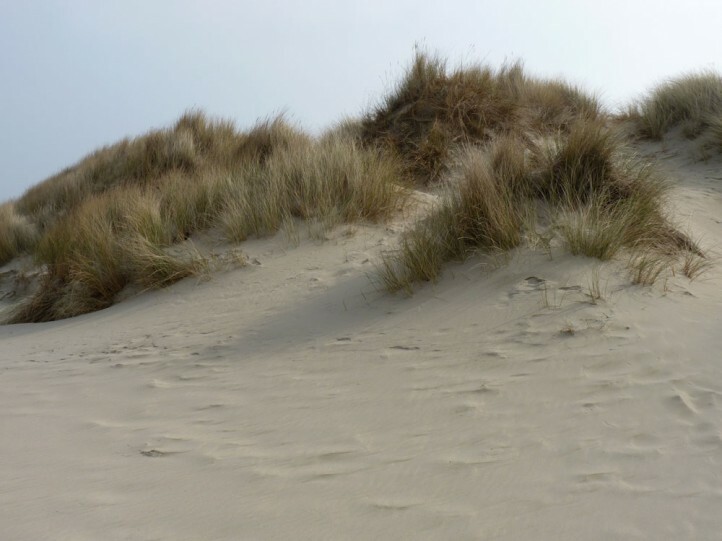 I observed more than 50 larvae by superficial examinination of the sand around Ammophila in the Netherlands (Zeeland) in March 2014, with up to 7 larvae around an isolated tussock. 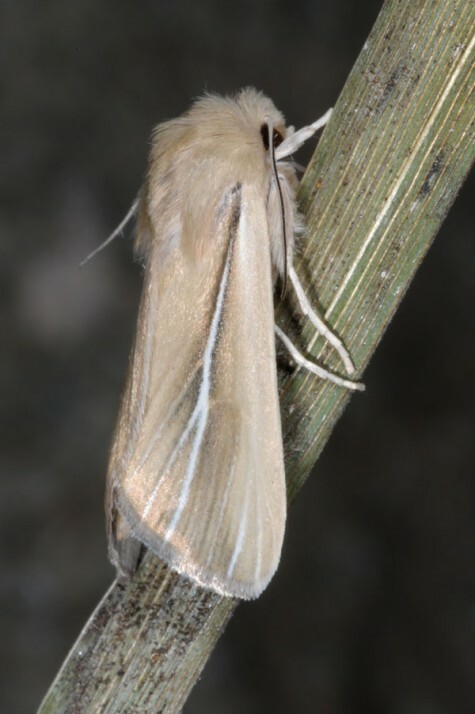 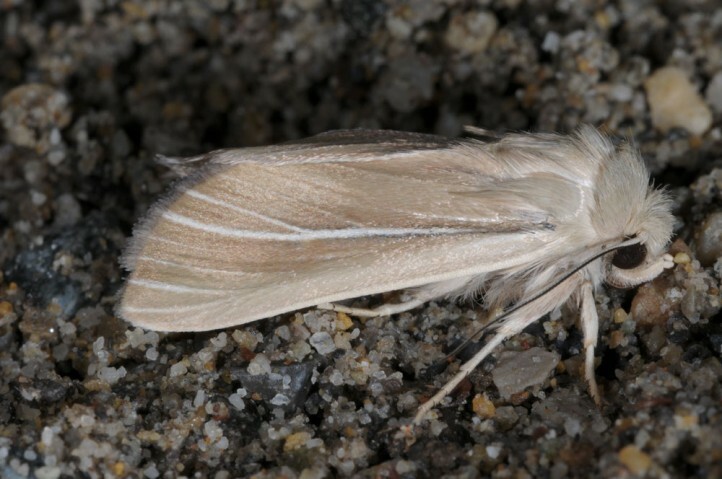 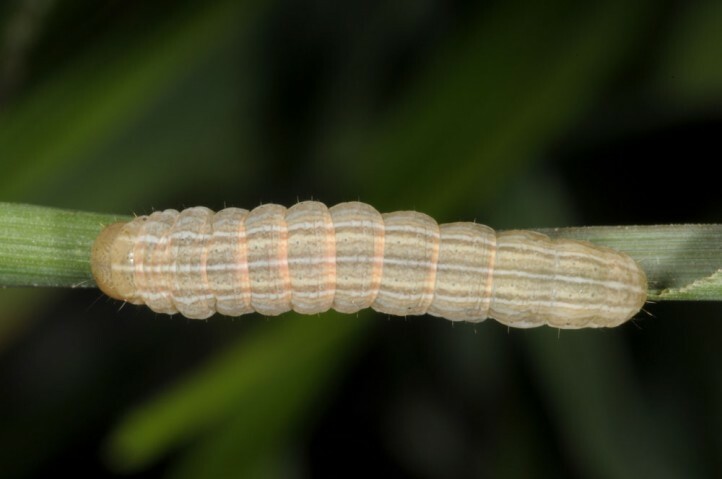 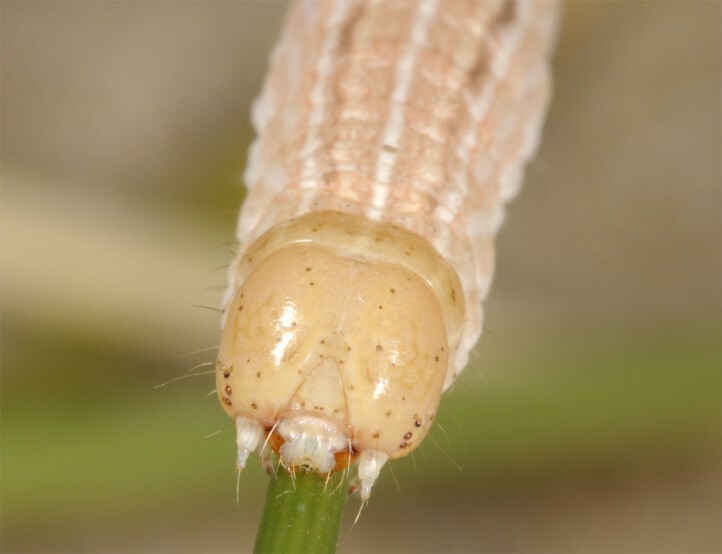 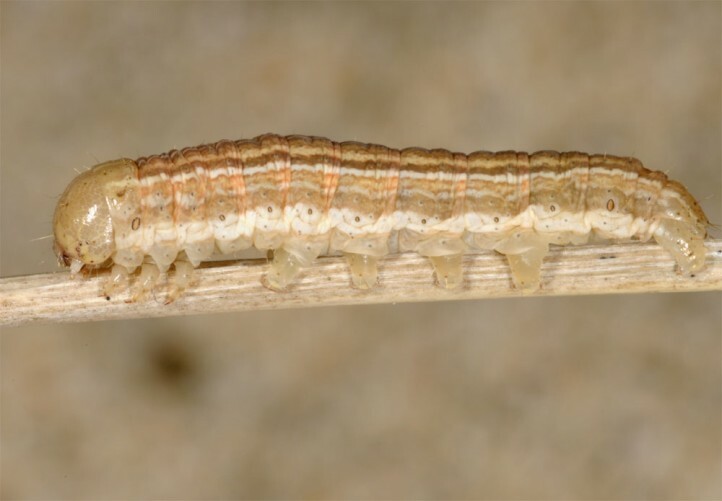 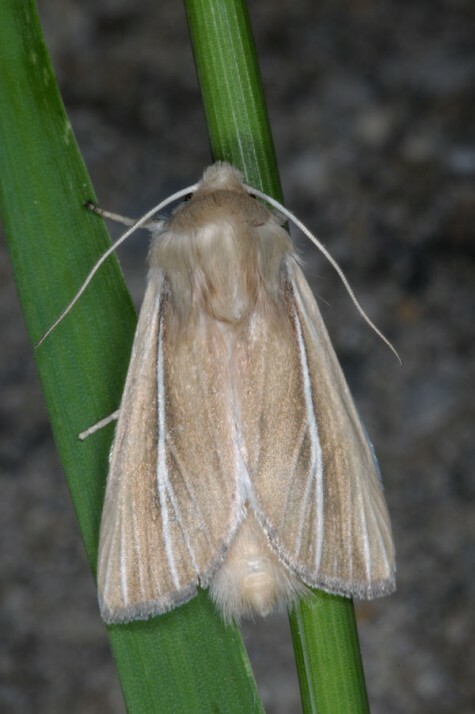 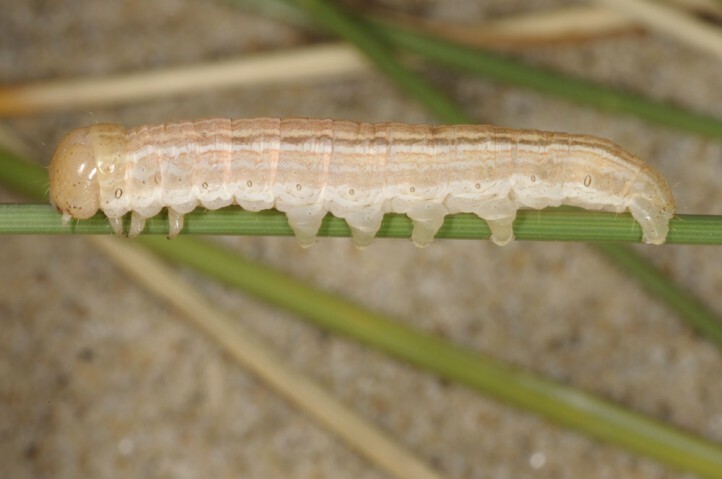 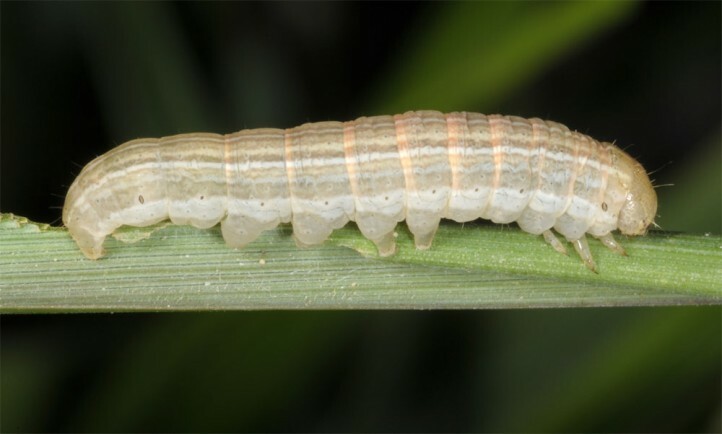 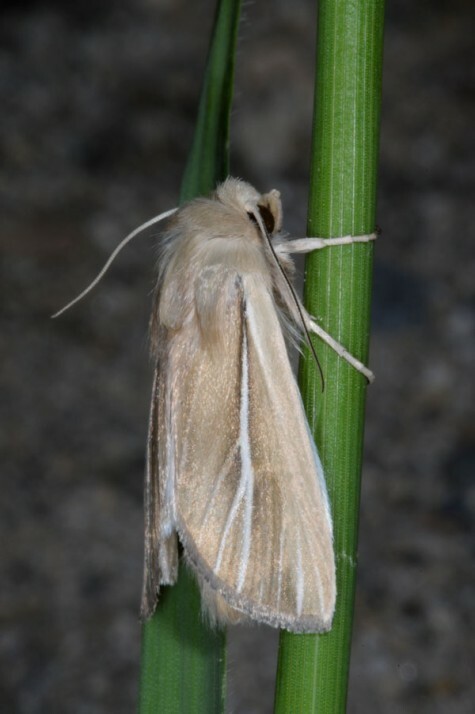 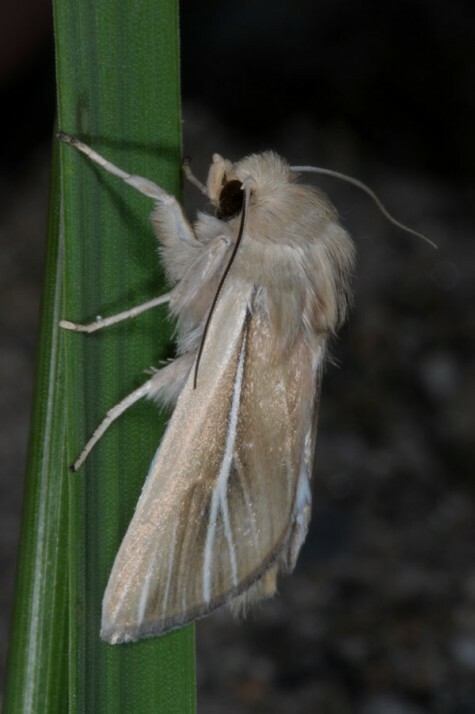 The larvae feed then at night on the hard but dewy grass leaves. 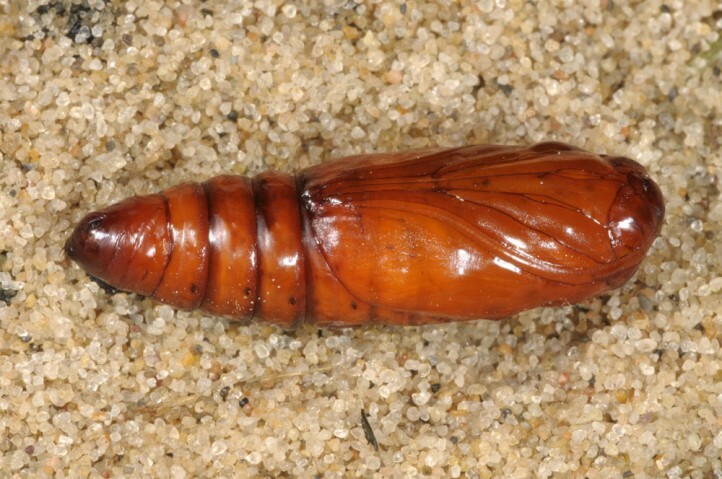 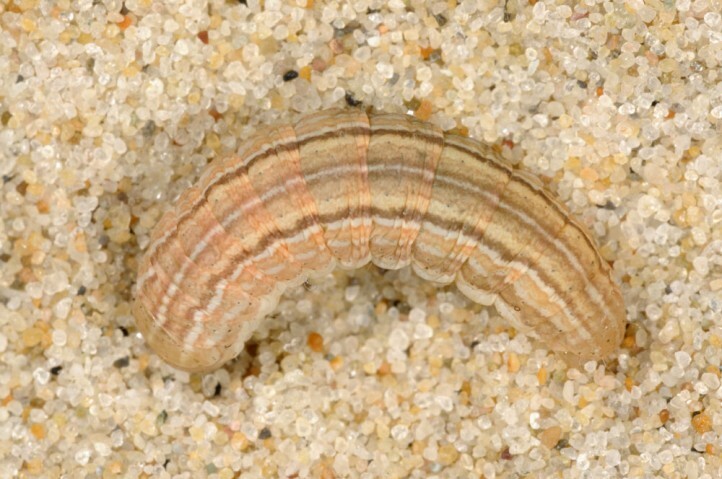 Pupation also takes place in the sandy soil. 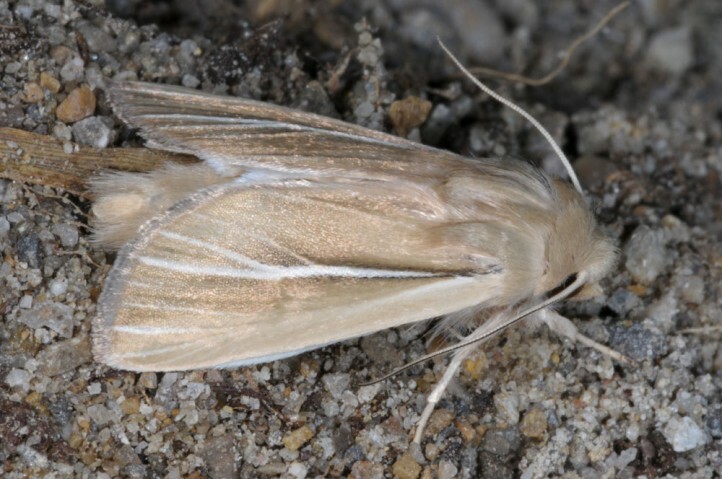 The adults occur in one generation between June and August. 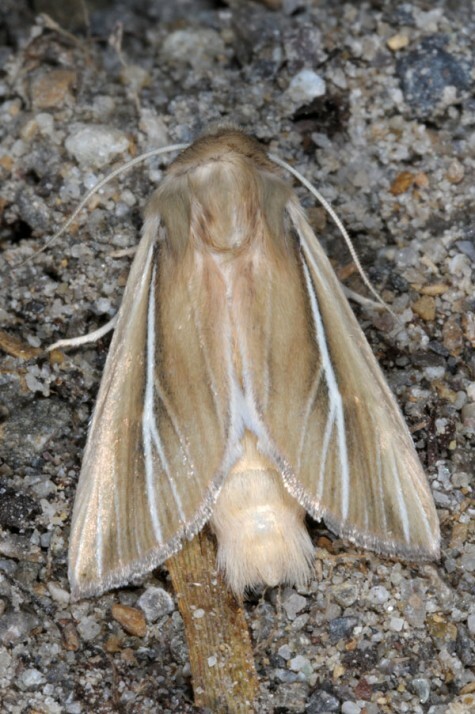 Mythimna litoralis has been pushed back severely by extreme touristic exploitation of European coasts and other measures. 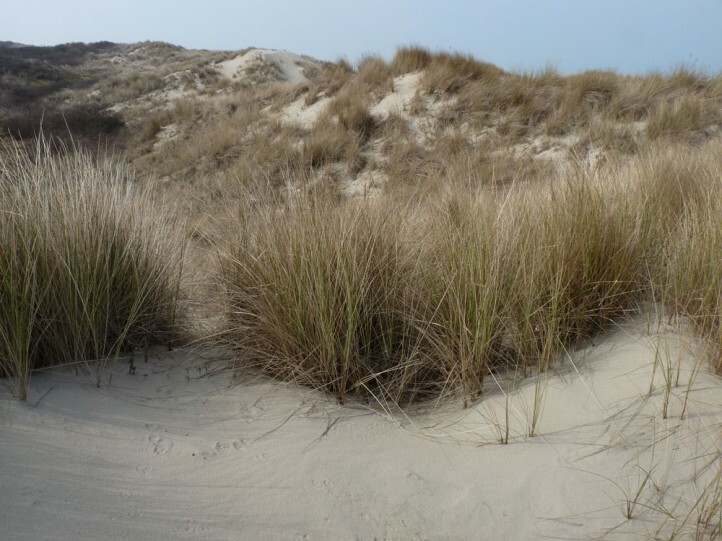 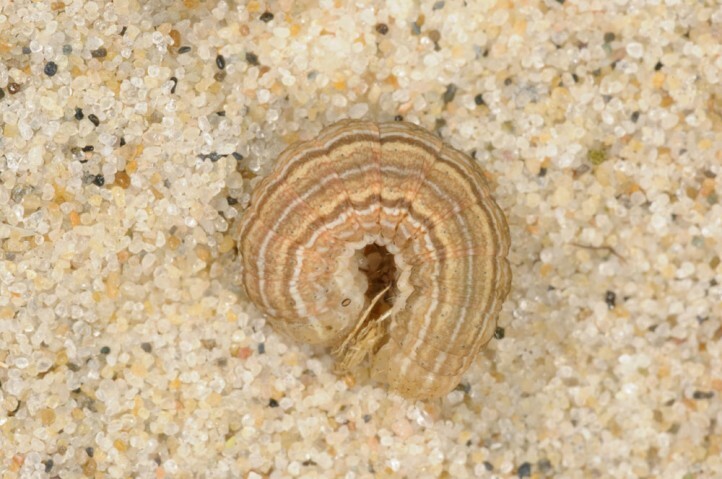 Today, many of the remaining dunes are protected (even if still affected), and Mythimna litoralis is locally still abundant. 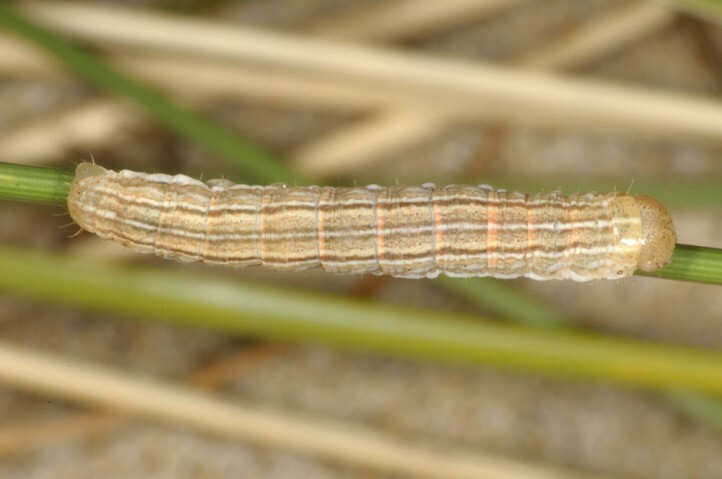 Mythimna litoralis occurs along the Atlantic coast from Morocco across Europe (including Great Britain and Ireland) to Germany, Denmark and locally even Sweden and Poland. 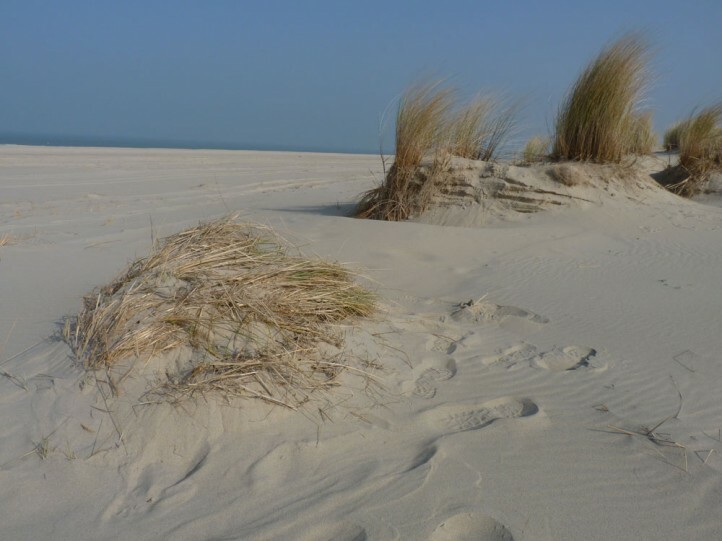 In the Mediterranean, only very small and extremely local populations are known from the western part.